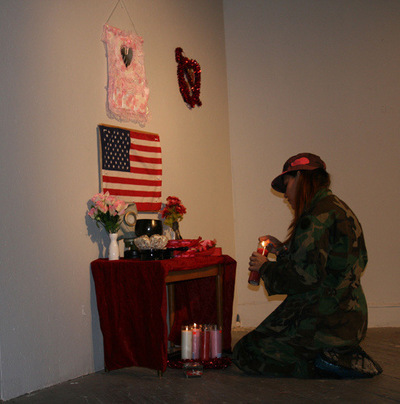 In this Found Performance, I dressed in army gear, both military issue and my pink camouflage from the Pleasure War! 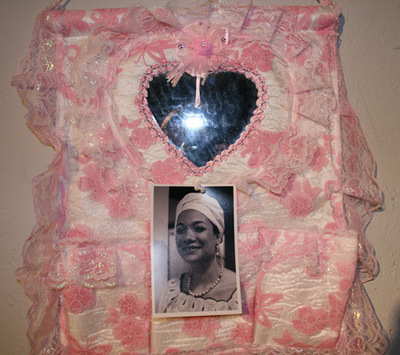 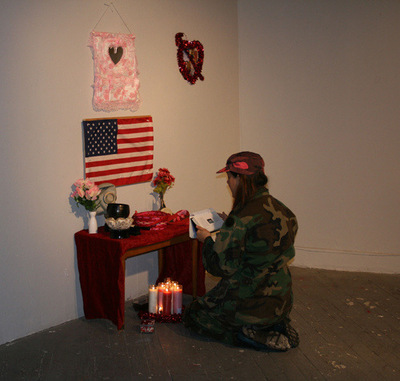 performances, and underwent a public ritual in which I relived aspects of my first marriage and ultimately forgave my ex-husband for the pain and trauma I went through over that relationship. 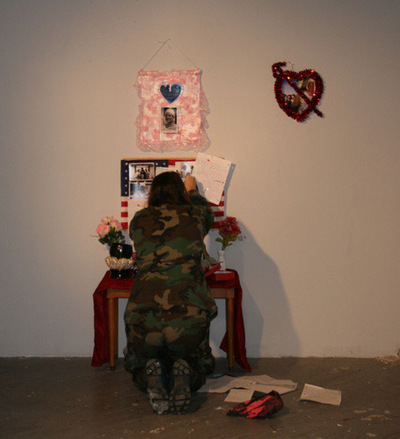 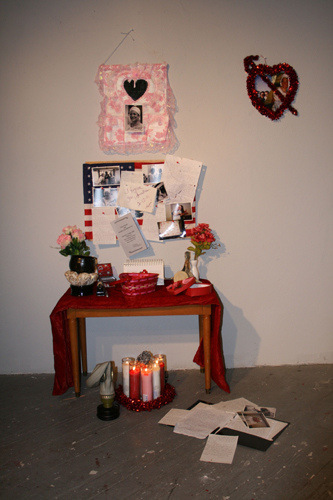 I kneeled in front of an altar facing an American flag and photographs of myself from our 2002 wedding, and read aloud letters that the two of us wrote to each other during our engagement. 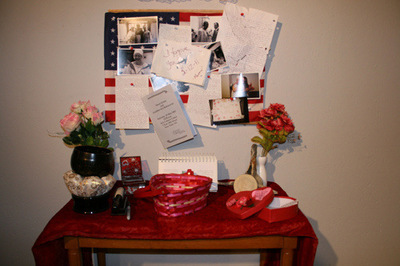 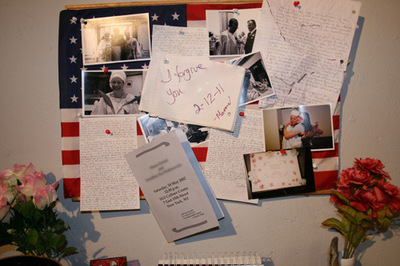 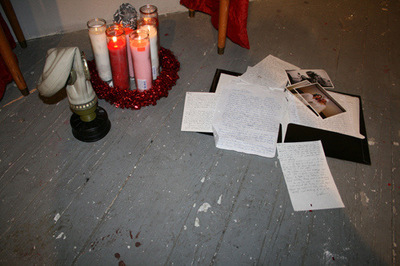 At the end of the performance, audience members were invited to come up to the altar and write notes of forgiveness to their exes as well.